Construction loans are temporary loans used to pay for the building cost of a home. They are relatively short term, and a lender usually takes an ownership interest in the building. It is designed for construction and has features such as interest reserves, where repayment capacity is based on something that only occurs when the project is complete. The loan is settled from the proceeds of a mortgage obtained once construction is complete. For this kind of loan you borrow to pay for construction but when you move in the lender converts the loan balance to permanent mortgage making it two loans in one. It's also important to note that you pay interest on the outstanding balance only, although the interest rate is variable during construction as it moves up and down the prime rate. In the event the Federal Reserve raises or lowers short-term interest rates before the building is complete, your interest will also be affected. Since it's a permanent mortgage, you can opt for a fixed-rate or an adjustable-rate loan, and specify the terms. In general, many lenders call for a 20 percent down payment of the normal amount of the permanent mortgage, but some make exceptions. In this type of loan, your first loan caters for the entire project and when it's time to move in you get a mortgage to pay off the construction debt. 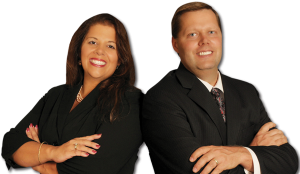 Some of the drawbacks of this type of loan are that you pay for two closings and two sets of fees. Another drawback is that you can't lock a maximum mortgage rate, which means you might have to pay more than expected if there is any rise in mortgage rates. When you get a loan to build a home, the lender doesn't have any collateral during the construction; therefore they will want some details like the home's size, the materials used and the contractors and subcontractors that will do the work. A Qualified Builder Must Be Involved – These are licensed general contractors with established reputation for building quality homes. 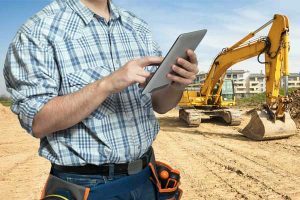 To protect yourself from shady builders, conduct due diligence on the contractor and ask for references, or contact the state attorney general's office or the Better Business Bureau for complaints levied against them or any lawsuits. If your intention is to be the general contractor, you will have a hard time getting a financial institution. 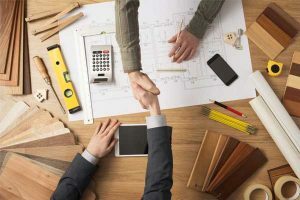 Detailed construction Specifications – Lenders need to have details about the materials that are to be used and floor plans. 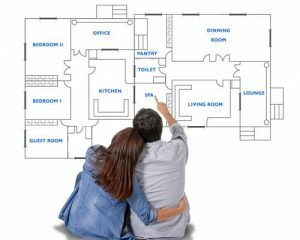 Put together a complete list of all details "blue book" which can include everything from ceiling heights to the type of home insulation you plan to use. Estimated home value by an appraiser – It may seem difficult to appraise something that doesn't exist, and most lenders use an appraiser to assess the blue book and specs of the house and the value of the land. They use the calculations to compare similar homes with the same location, features and size called 'comps' to determine the appraised value. Borrower's Ability to Repay Loan – Lenders will make sure you have enough savings to cover the cost overruns or the unexpected costs. The lenders would like to see proof of income and the amount of any other outstanding debt. These are compared in the debt-to-income ratio, which is calculated by dividing the fixed monthly expenses by gross monthly income. 36 percent is the rate most lenders like although some allow up to 45 percent depending on the amount to borrow. Credit Score and Cash Reserve - Credit score requirements vary depending on the sum of the loan as the higher the amount of loan the higher the credit rating. When it comes to Cash reserve, Lenders are known to like cash reserve amounting to at least six months of payment, taxes, interest, and insurance. Unfortunately in some instances even after meeting the general requirements, lenders may not approve your loan until some specific information to the construction process is availed. You can include land purchase and if you own the land you can attach a copy of the land deed as proof of ownership to increase your chances of qualifications. How much for a construction loan down payment? When it comes to down payment for your construction loan, lenders will always work differently. In some cases, they may require a 20% on the table to qualify for this type of financing. 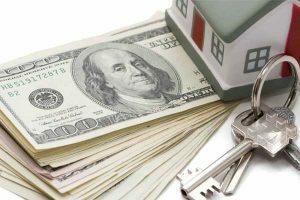 In other instances, you may not be required to make the down payment, but you need to have approximately 20% of the home's value in equity either in cash or liquid investment. This is determined through an LTV (loan to value ratio). To find this ratio, lenders divide the total home debt into the appraisal value of the home. If you have 20% down payment you can quickly secure a conventional loan where you don't pay expensive mortgage premiums. Debt-to-income (DTI) ratio is also used by lenders as this is the percentage of the total monthly debt payments of the borrower versus the total monthly pre-tax income. Most lenders here look for a 35 percent DTI in order to approve the loan. The other option to consider for down payment is the FHA loan (Federal Housing Administration) which requires a 3% down payment. Borrowers with FHA loans only pay for mortgage insurance which protects the lenders in case the borrower defaults. If the thought of these methods seems unreachable, you can make small adjustments or goals to help save up like cutting extra spending on cable bills or cell phone plans. It's important to stay focused on the big picture of owning a home and make it a priority to make sure you make your down payment. What banks offer construction loans? 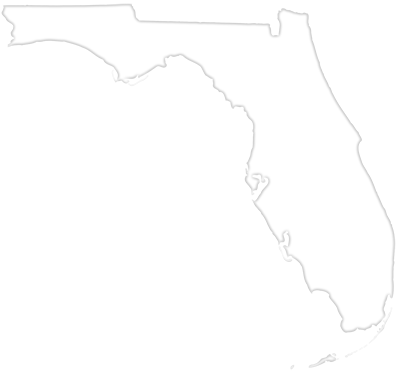 If you have a great bank that offers Florida construction loans as one of it's main focus let us know about you. What is the construction loan process? Building a home is a mind boggling process that includes different people like developers, contractual workers, lenders, solicitors, quantity surveyors and the council. The following processes will be a guide on the process involved in construction loans. Find a great agent - This process may not be popular especially with new constructions but working with an agent gives you security and a set of expert eyes to avoid contract headaches. It's also important to check their reviews from the past. Get your credit in order - Having an accurate look at your credit score is very wise as with any lender it plays a key role in determining borrower's credit worthiness. It is advisable to have a FICO score from either of Experian, Equifax or the TransUnion. 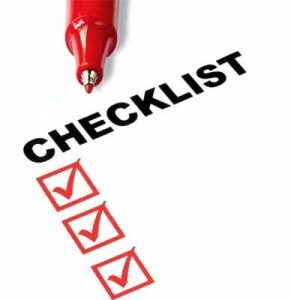 Collect your financial documents – In addition to your FICO and credit score, make sure you have documentation of your financial history including debts, annual income, assets, and investments or 401k funds. Get pre-approved– After getting all the documents that illustrate your financial standing, it's ideal to find out how much you can borrow. It's advisable to consider rolling out your construction loan into your mortgage payments with a construction-to-permanent loan. Consider approaching a bank or credit unions as mortgage companies don't offer loans for new constructions. Research builders – After establishing how much you can afford, you are ready for find builders. Check online reviews, consult their vendors and do due diligence on their previous work in person. Get construction price range and if builders provide financing then narrow your list to trusted, reputable local builders within budget. Always Gast Homes will be happy to help. Pick a builder and get a signed plan – Work with a builder who has a blueprint you love that is within the pre approved lending limits. Have your agent and builder draft a construction plan that is inclusive of all relevant details. Apply for a construction loan – Get your proposal to your local credit union or bank you have identified to get a construction loan from. You can consult with your builder on the preferred lender since working with them might make the process smoother. 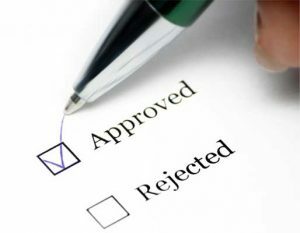 Apply for a mortgage – This process is dependent on who your construction loan lender is. Many lenders will opt for a construction-to-permanent loan where you roll your construction loan into your final mortgage payments whether VA, FHA, or conventional. Draw and pay interest– Based on the amount of work done by the builder, the construction loans should be paid out in monthly intervals. After securing the necessary loans, start paying interest on your draw amounts as you wait for your home to be completed. What is a Construction-to-permanent loan? A Construction-to-Permanent mortgage (CPloan) is a type of mortgage you can use to finance both building and purchase of new constructions. It allows you to lock in your interest rate and finalize your loan payment before construction begins. You choose a fixed-rate or an adjustable- loan rate and indicate the loan's term, which on average is 15 or 30 years. Construction-to-permanent loan agreements have strict timelines for the building phase. Lenders may have the option of canceling the loan if there are building delays or issues preventing you from meeting the construction deadline. After construction, an appraiser inspects your home to make sure the builder didn't deviate from the blueprints approved. Assuming all is in order, the mortgage agreement comes into effect. What is the rate on construction loans? The rate on construction loans varies from one lender to another. However there are common factors that determine the rates the lender will factor to offer the loan and they include credit profile, loan product, loan size, property value, geographic location, occupancy and other factors. For fixed rate mortgage the interest rates on your loan remain the same for its entire term unlike adjustable-rate mortgage (ARM) where rates fluctuate over time. The important thing to note when looking for better construction rates is to check the different mortgage types in the market to settle on one that is suitable for you. How is interest calculated on construction draws? Construction loan's payments are based on the amount drawn. Therefore making it hard to estimate what payments will be as the credit is subject to change at any time. To get a simple estimate, take the current principle and multiply it by the interest rate then divide it by 12. This will give you the current payment for the draw period. It's important to remember to increase your principle at every draw. You can also check with your lenders website and use the interest calculator or fill in a scenario pricer. How is land handled in the construction loan? The issue of land when it comes to construction loans varies from one lender to another. However, most construction loans cover just about any bit of your project from land buying, digging a hole, pouring the foundation, framing, and finishing. Land ownership is excellent collateral for construction loan lenders whether you are a contractor or an individual. It requires that the land be free of liens or mortgages. If the land is unimproved or bare, property values can fluctuate widely. Based on the appraised value and current trends in the real estate market lenders can offer 50 to 60 percent of the value. In the event the borrower is interested in building a home, lenders may offer between 75 and 80 percent of the land value or more. To secure the loan lenders will require you to provide a valuation of the land (at your own cost) and the period of ownership. Do construction loan bankers qualify my builder? Construction loan bankers do not necessarily qualify your builder. The borrower can get a trusted builder who is a general contractor with an established reputation. However, banks and lenders are often wary of construction loans for obvious reasons. The major issue is trust, as they lend the money for something that is to be constructed and with the assumption, it will have value when completed. This in some cases put lenders or banks in a position to qualify builders involved in the project.